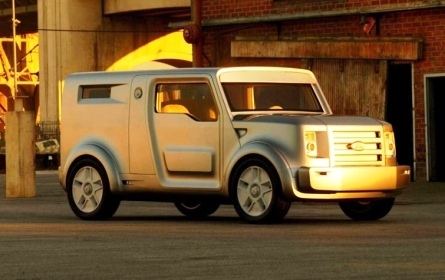 Concept vehicles or show vehicles are cars made to showcase new styling and or new technology. They are often shown at motor shows to gauge customer reaction. 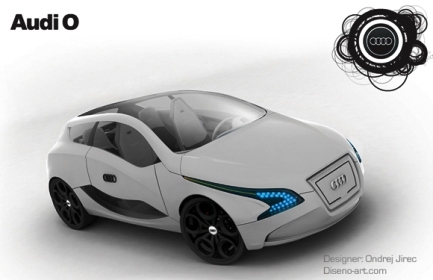 Ourtuts.com came up with a list of 25 stunning concept car designs. Take a look. . . 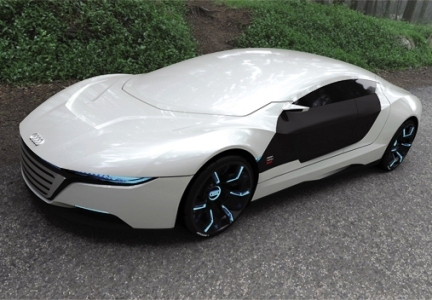 The concept was designed for Gran Turismo 5. It features an electric drive train powered by a fuel cell with no pollutant emissions. 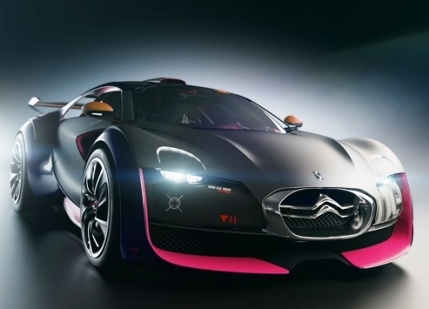 The car is the result of a partnership between Citroen and Polyphony, designer of the driving simulation game Gran Turismo 5 on Playstation 3. Spanish designer Daniel Garcia decided to give the world a new interpretation of BMW's Vision Concept that's seen from Audi's (unofficial) perspective. 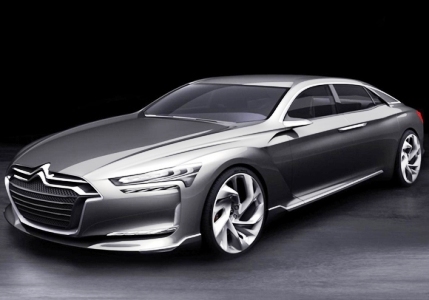 Audi A9 not only fits the category for hybrid and concept but also wishes to have a sports sedan. Image: Audi A9 Hybrid Sports Sedan. 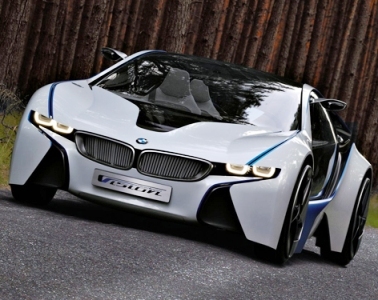 The new Vision concept of BMW, car for the efficient dynamics philosophy will become a production model in 2013. 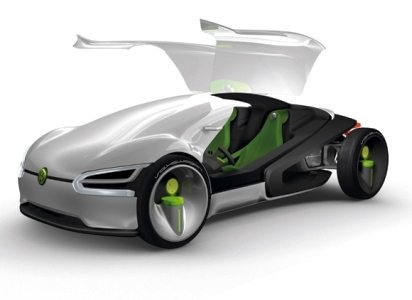 Sport fans call this concept 'the car of the future'. 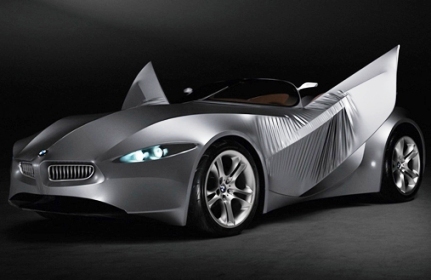 Image: BMW Vision Efficient Dynamics. The Audi O concept was designed to fuse a powerful and innovative audio system with a stylish and sporty four-seat hatchback. The exterior design uses several Audi trademark styling themes, especially at the front where the square grille sits neatly between the LED headlights. The GINA acronym stands for 'Geometry In "N" Adaptions'. The 'N' stands for infinite. At first glance the BMW GINA appears to be nothing more than a BMW Z4 stablemate. As soon as the doors are opened, however, it reveals its true nature. 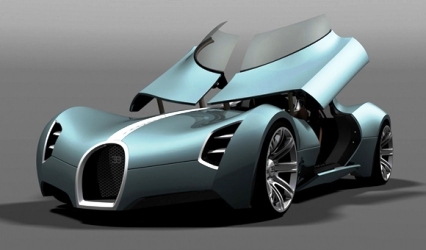 Created for the year 2025, the Aerolithe is named after a prototype vehicle Bugatti unveiled at the 1935 Paris Motor Show. 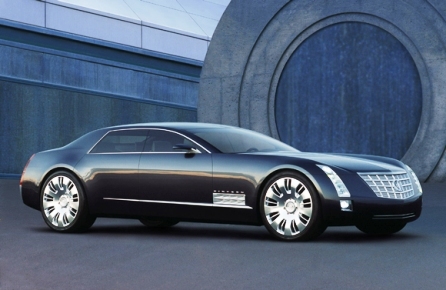 The last car of GM Design Chief Wayne Cherry, the Cadillac Sixteen is colossal in size, weight, and presence. With 1000 horsepower and 1000 lb/ft of torque. The engine of the Cadillac Sixteen can run on as little as 4 of its 16 cylinders to conserve fuel. The Metropolis was unveiled in the French Pavilion at the 2010 Shanghai World Fair. Dacia is a Romanian car manufacturer, and a subsidiary company of Renault. 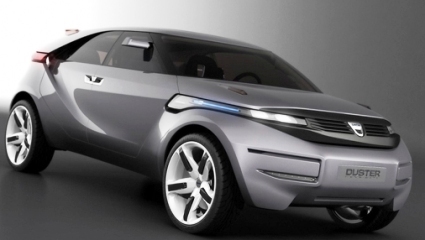 Duster -- Dacia's first concept crossover. Seen from the driver's side, it is a sporting coupe, yet passengers entering from the other side will see it as a multi-purpose vehicle. Luca Serafini, a designer based in Modena, Italy produced this concept as a theoretical replacement for the Ferrari F430. 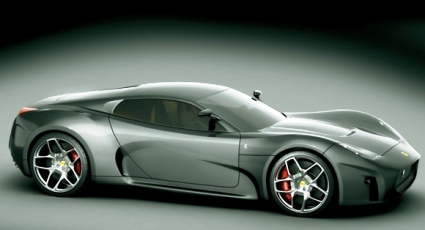 Proposed power for the concept could come from a mid-mounted V8, like the F430. Debuted at the 2005 Detroit Auto Show, the Ford SYNus recognises that the majority of the world's population will live in urban areas by 2010. Design influences come from security products such as safes, bank vaults and armoured cars. 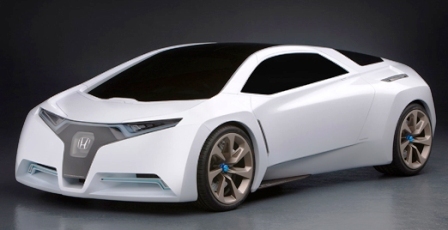 The Honda FC Sport concept is a fuel cell powered vehicle which was unveiled at the 2008 Los Angeles Auto Show. 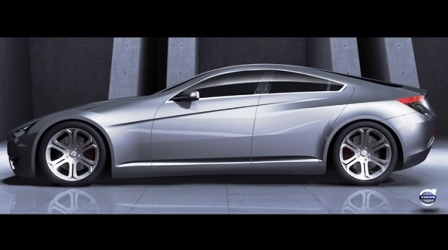 The car was created by the Advanced Design Studio of Honda R&D Americas, in Pasadena, California. The Land Rover LRX concept was revealed at the 2008 Detroit Auto Show. 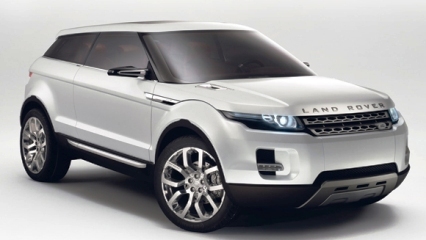 It was a preview of the Range Rover Evoque production model which was to appear in 2010. 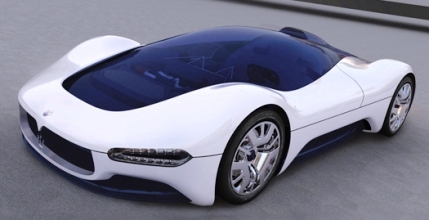 The Pininfarina Designed Maserati Birdcage was revealed at the 2005 Geneva Motorshow. Built on the Maserati MC12 chassis, weight for a production Birdcage should be in the region of 1111 kgs (2450 lbs). This weight is achieved with the use of carbon fibre bodywork and an aluminium and carbon fibre frame. The Mercedes-Benz F800 Style concept is a taster of what's to come from the company in the relatively near future -- stylewise anyway. 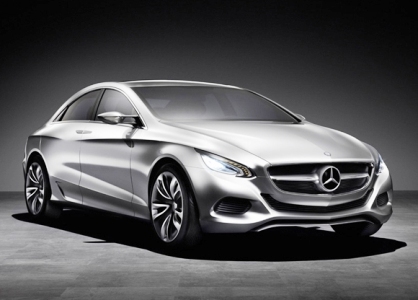 The concept was designed to preview the look of the next generation Mercedes automobiles, and also showcase a couple of fuel efficient drivetrains at the same time. 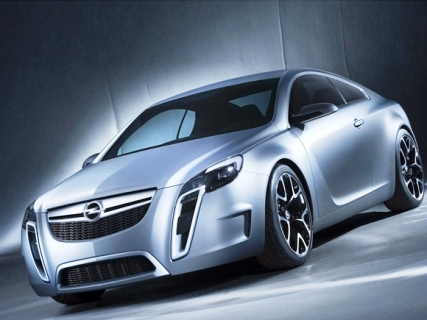 The Opel GTC is based on the next generation Vauxhall Vectra platform and is intended to fulfill two roles as a concept car. 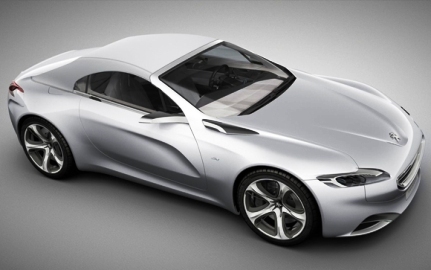 First, to preview a new mid-size coupe from GM's european division. And second, to explore an entirely new design style for the Opel division. Image: Opel Gran Turismo Coupe. 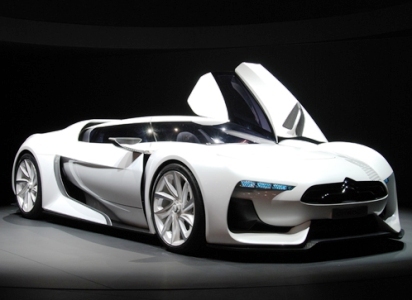 At the 2010 Geneva Motor Show Peugeot are set to unveil the SR1 concept car. The SR1 is an incredibly important concept for Peugeot as it showcases an all new design language for the company -- one which will eventually permeate throughout the entire model range. Click NEXT to read further. . 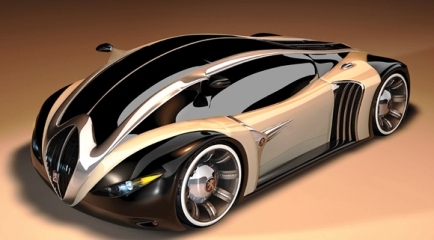 The Peugeot 4002 concept was designed by Stefan Schulze, the winner of an amature design competion by Peugeot. The theme of the competition was to design a distant future Peugeot vehicle. Porsche doesn't often do concept cars, and when they do they're almost always just 'special edition' models of something they already make. The 918 Spyder Concept is a hybrid powered two-seat sports car which looks kind of like a cross between an updated Carrera GT and a Boxster Spyder. It has a low-slung stance, buldging wheel arches and jumble of vents, intakes and grilles which all hint at the potential performance. 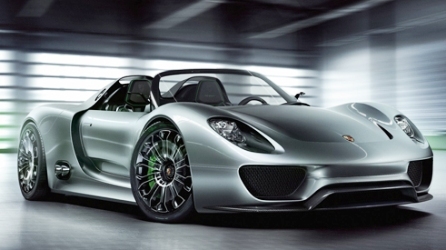 Image: Porsche 918 Spyder Concept. 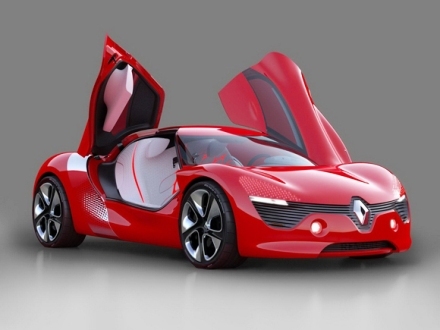 The Renault DeZir is an electric powered sports car concept which is set to go on show at the 2010 Paris Motor Show. The Toyota FT-HS Hybrid Sports Concept is a sports car concept which could fill a gap in Toyota's model lineup left vacant since 1997 and the passing of the Toyota Supra. 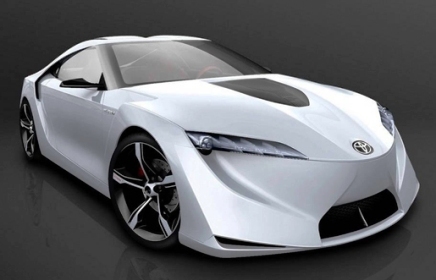 Image: Toyota FT-HS Hybrid Sports Concept. The Volkswagen Ego is part of a trio of concept vehicles designed to offer a glimpse into the future for Volkswagen vehicles. Designed for the year 2028 the VW Ego is a two seat sports car with an attractive and simple bodyshape. 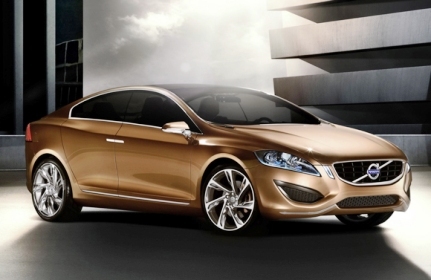 The 2009 Volvo S60 Concept which was first displayed at the 2009 Detroit Motor Show is a preview of the production 2010 Volvo S60. The design was created by Nouphone J Bansasine, a graduate of the Art Center College in Pasadena, during his summer internship at Volvo. Although the fact he now works as a designer for Volvo helps keep the hope alive that someday Volvo will create a car which is influenced by the SC90. PHOTOS: Cars that are dripping in gold! IMAGES: Why these 7 cars are SWANKIER than before!